Crossbows 101: Which Are The Best Broadheads For Your Crossbow? A broadhead, also known as an arrowhead, is attached to an arrow shaft using hot glue, then shot from the crossbow. There are cases in which the broadhead is slid over the end of the shaft or the tip of a shaft itself is sharpened and used. It could also come as separate pieces made of metal or another hard material. Nowadays, there are many styles, makes and models of hunting broadheads available out there. And like most of the products, you need to pay a higher price if you want a broadhead that is built with the sharpest blades, tightest tolerances and that flies straight and true. These most expensive ones have a long track record of success which cannot be denied. If you are still asking why you would need a crossbow broadhead, I’m telling you, you can’t just enjoy your crossbow without it. 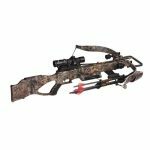 There are three different types in general and each one of them can be used in crossbows and regular bows. Removable Blade Broadheads – Blades can be replaced on this type so you do not have to throw it if there’s a damage on the blades. 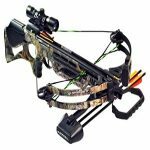 Fixed Blade Broadheads – If you are a traditional style bow hunter who uses a compound bow, you are most probably using this type of broadhead. In this type, the blades are rigid and unmovable, usually broad. Although some have screw-in type ferrules which can be used with adaptors that are placed on either inside or outside of the arrow shafts, these are usually designed to be glued on the arrow shaft. 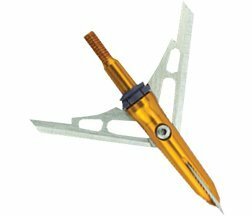 Mechanical/Expandable Broadheads – This type has blades that are retracted before it is shot. The retracted blades only deploy when contact with the target is made as its cutting edges are designed to wound the target.Mechanical broadheads fly better, however, they do not get to penetrate the target as much as the other types would since it already lost its kinetic energy from deploying the blades. Shooting accuracy – When it comes to close to field point accuracy, how well does it perform? Blood trail – After shooting an animal, how much blood does it leave on the ground? Remember, if the blood trail is larger, it is easier to track your prey. Penetration – How well did it penetrate your prey? How well did it pass through your targeted animal? Wound channel – How much is the amount of damage on your shot animal’s vitals? 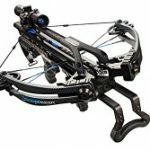 #3 Carbon Express XT Dual Blade Serrated Crossbow Broadhead – This broadhead with six cutting edges made it to our number three spot. Its serrated blades do not only stay sharp, but also stay undamaged even when your arrow gets destroyed after hitting a prey’s shoulder blades! #2 Huntingdoor 3-Fixed Blade Archery Broadheads, 125-grain – Mainly known as a product on the cheap side, these broadheads from Huntingdoor give you more than what your money bargained for. Its extremely sharp blades let it perform almost the same as other high-dollar broadheads. 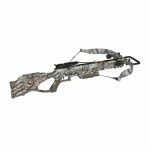 #1 Rage Crossbow X 2-Blade Broadhead, 100-grain – With a 2-inch plus cutting diameter and a shock collar for proper retention of the blade, this broadhead secured the number one spot. It also features Ferrule Alignment Technology or F.A.T. Along with its tough and razor-sharp .035 inch stainless steel blades. Do not attempt to use broadheads with your crossbow if they are lighter than what the crossbow manufacturer recommends. If you have broadheads from major brands like Barnett, Diamond and Bowtech, you will see that they specs listed for their products. Why? Well, if you do not follow precautions and safety tips properly, you will not only damage your bow and it might lead to a severe personal injury. Get a broadhead wrench. It will not only make your screwing-in process easier, but it will also make it safer. Do not be one of those people who hurt themselves in the screwing-in process, rather than when they are out for action. In my opinion, it is always better to spend a few bucks more to buy from an established manufacturer with ensured quality and reliability than saving these bucks to get a cheaper product that might cause you harm in the future. When choosing a broadhead, remember that it should not only fit your crossbow, but also your needs! 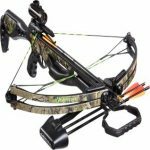 Still looking for a Crossbow? 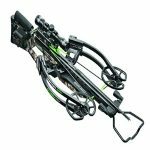 Then check out our top crossbow picks.